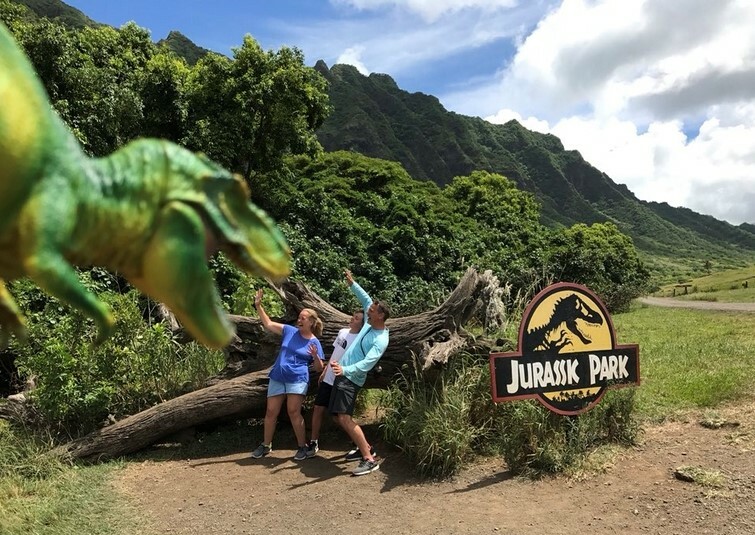 Joanna from @LittleMissHappy on Twitter for her classic reenaction of Jurassic Park. Congratulations on your roaring success! We will direct message you with details about your prize. 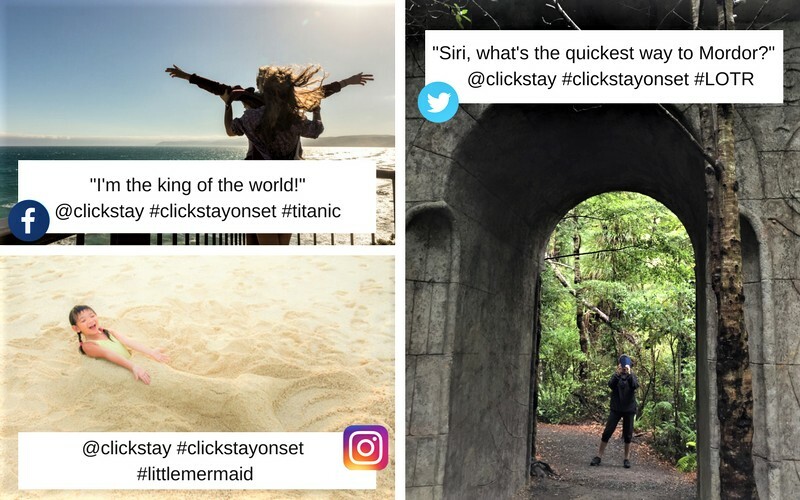 With the Oscars only a couple of days away, the Clickstay crew decided to get in the spirit of things and open our Clickstay On Set competition! Got a holiday snap that could have been taken straight from a movie or TV Show? Managed to recreate a scene from Lord of The Rings or Game of Thrones? Then you could be in with a chance to win a £50 Clickstay voucher and £40 cinema voucher. 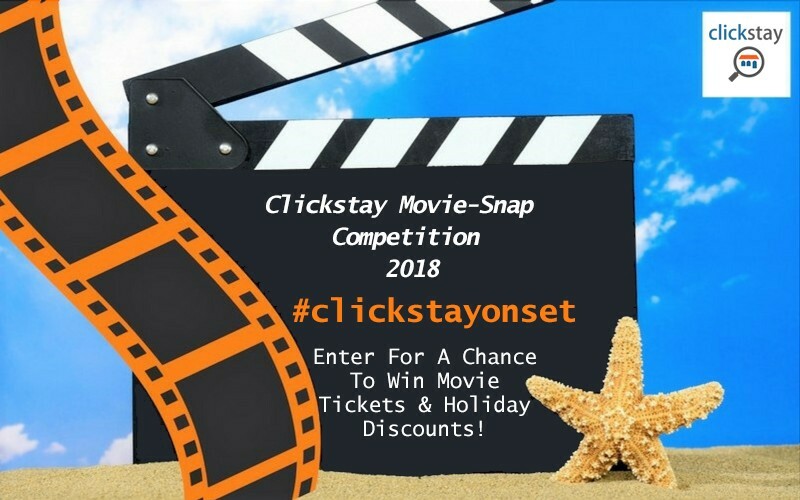 To enter, simply upload your image to Twitter, Facebook or Instagram with the hashtag #clickstayonset, and tag us @clickstay. Don't forget to add a caption too, either just the movie title or if you really want to wow us something a little more creative! The competition runs from the 23rd February-5th March 2018. The winner will be announced on our Facebook and Twitter page on the week following the 5th March 2018. All entries must be authentic and shared on your own Facebook, Instagram or Twitter page between 10am Friday 23rd February 2018 and midnight on Monday 5th March 2018, with @Clickstay and the hashtag #Clickstayonset to be valid for entry along with some form of caption, either a quote, film title or comment. Entrants must also follow or like at least one of the Clickstay social media channels (Facebook, Twitter, or Instagram). The competition will be open from 10 am Friday 23rd February 2018 and midnight on Monday 5th March 2018. The winner will be chosen by the Clickstay panel on the week following the 5th March 2018. The winner will be displayed on the competition page and contacted via social media. The winner will be determined by entries that meet all specified criteria as well as showing the most creativity in image choice and/or caption content. The prize is a £40 cinema voucher for a cinema of the winner's choice and a Clickstay voucher of £50. Neither prize is non-transferable or redeemable for any cash alternative.